APEX HARCO Bank Recruitment 2018 - Apply Now! APEX HARCO Bank Recruitment 2018 – Check complete details regarding APEX HARCO Bank Recruitment 2018 here. Haryana State Cooperative Apex Bank Limited has recently released the notification for the recruitment of talented and dynamic individuals for the post of Chief Executive Officer. The employment will be for a period of three years subject to review of their performance on yearly basis. 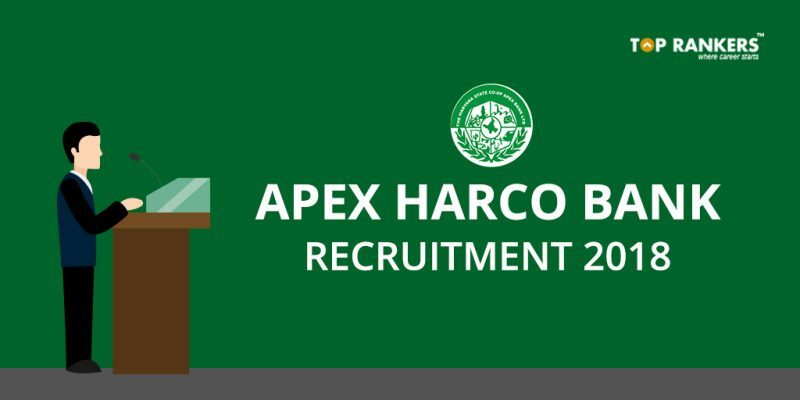 You can find further details regarding the APEX HARCO Bank Recruitment 2018 notification below. Age Limit – You must not be above 55 years of age as on 1st December 2017. Educational Qualifications – You must be a Graduate with CAIIB/DBF/Diploma in Cooperative Business Management or equivalent qualification or Chartered/Cost Accountant or Post Graduate in any discipline. Experience – You must have minimum 8 years of experience in the middle/senior level in the core banking sectors. To visit the official website, click here. So, tell us, did you find our post on APEX HARCO Bank Recruitment 2018 helpful? Then, keep visting us regularly for more job notifications and recruitment updates.